Good, bad or indifferent, technology is a part of our everyday life. So it should come as no surprise, that it’s impacting the world of planned giving. Technology today has put estate planning tools, such as DIY online will services, in the hands of our donors. We all know that a longstanding challenge for planned giving professionals has been to inspire donors to take action—but could technology and estate planning tools help? We live in a society that has an expectation of immediate gratification. Almost everything is available at our fingertips. The growth and reach of the internet have facilitated a DIY culture, from learning how to market your planned giving program to even creating your own will. And I know we can also all agree that having a will is important. So why is it that nearly 60% of Americans have no will? Could DIY online wills be a part of the solution to this problem? The answer is not as simple as yes or no, but different for each charity. There are questions that need to be explored first. For years, sites like LegalZoom and Rocket Lawyer have offered similar services. 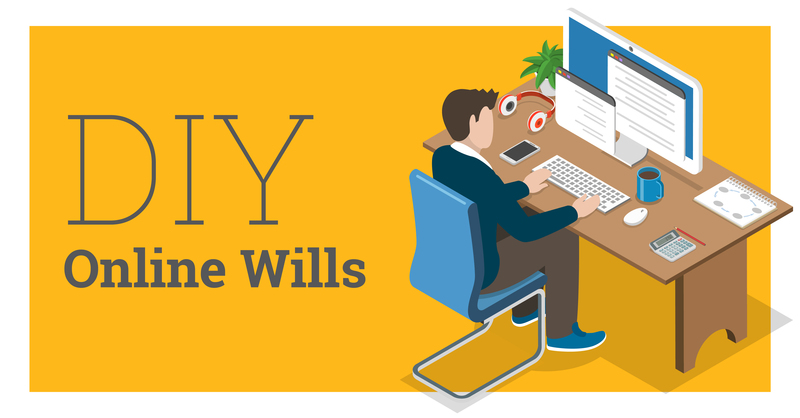 So, why are DIY online wills suddenly getting more attention? Ten years ago, a DIY online will service out of the UK, Free Wills, came to the US for a National Charitable Gift Planners Conference. People were not ready for an online will. That’s changed. Due to the recent uptick in consumers’ requests for ease and comfortability with technology, these services have become more prevalent. As access to technology increases, these services will continue to attract self-directed consumers. While concerns about online privacy and digital asset security have never been higher, there is a growing reliance on convenience that greatly impacts our consumer culture. Consumers are becoming accustom to using technology to shop, bank and even create a will. And that’s only going to intensify. While all of these services are available to anyone surfing the internet, some of these services partner with nonprofits nationwide to imbed their DIY estate planning tools through a custom link on the nonprofit’s website. The nonprofit is charged a fee for these services. A donor can follow the link, answer some questions and create estate planning documents—all for free. It is advertised that this process can be completed in minutes. I do believe these services can work in some nonprofit’s planned giving programs. However, their utilization needs to be approached with the utmost tact and responsibility. Any charity considering the use and promotion of a service like this needs to do the proper due diligence. Nonprofits must ensure that (1) it’s the right fit for their donor base, (2) they provide the appropriate context around the service and (3) they are very thoughtful with the way they implement and promote the service. For example, a hospital client of ours has been a FreeWill user for a while now. They don’t post it on their site or widely promote it. Instead, they use it as a follow-up tool for interested prospects to navigate their online estate planning options. This has been a successful approach for them. 1. Given my donorbase, is this an appropriate tool for my organization? For example, if your nonprofit has a tight-knit donor group with a lot of personal relationships, this type of offering could be perceived as too impersonal. If you have a large database with few personal relationships, this service may have a place in your program. 2. Do I have planned giving advisory committee members, board members or donors that are estate planning attorneys that this may offend? This practice could deter a whole category of potential donors or board members from working with the organization, namely those in the legal profession. This is why providing context around this tool is critical. It is a compliment to local legal services. I also strongly suggest personally reaching out to any allied professionals to let them know of your plans. This transparency will aid in avoiding any future issues. 3. Does adding a DIY will link to your nonprofit’s website open your organization up to potential litigation? If a donor creates their own will using a DIY tool on a nonprofit’s site, and the beneficiaries become disgruntled about how the assets were distributed, the organization may find itself involved in a lawsuit to contest the will or subject to an undue influence claim. (To be fair, this can happen with a will created with an attorney too). 4. Does the cost of a DIY online will tool make sense for the size and complexity of my planned giving program? DIY online will services are not cheap and while they can, in theory, help move donors from intent to execution, the costs must be weighed. Core planned giving prospects tend to already have a simple will in place. A service like this won’t necessarily motivate them to execute. No matter where you are on the spectrum of pro-DIY wills vs. anti-DIY wills, consumers’ needs for easy tools and their accessibility will continue to rise. A trusted friend and colleague of mine shared the following analogy with me on his take about DIY online will services, “Remember when cab companies thought no one would use Uber?” Just because we’ve always done something a particular way doesn’t mean that’s the way it’s always going to be! Have you, your nonprofit or its donors had experience with these services? Weigh in. We’d love to hear your stories.